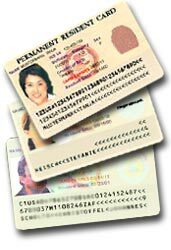 Those wishing to enter the US under the visa waiver scheme will from 12 January 2009 need to apply electronically for travel authorization. They will need to apply online under the Electronic System for Travel Authorization (ESTA). According to the Customs and Borders Protection Office at the US Embassy the number of British tourists applying for authorization is only about 3,700 a day. In January 2008 eight thousand British tourists travelled to the US every day. Therefore, it seems likely that many British tourists will face difficulties when entering the US. Applicants are advised to apply for ESTA at least 72 hours before travelling to the US. You should provide biographical data, including name, birth date, and passport information, destination address in the US. You will also need to answer questions regarding communicable diseases, arrests and convictions for certain crimes, and, if relevant, provide details of visa revocation or deportation. Kelly Klundt, of the US Customs and Border Protection's Office of Public Affairs, said: "The Department of Homeland Security will take a reasonable approach to those travelers not in compliance with the travel authorisation requirement. However, travelers who do not obtain an ESTA should be aware that they may be denied boarding, experience delayed processing, or be denied admission upon arrival in the US." The full list of visa waiver program Countries (including those that joined on 17 November 2008)"